Empower yourself to see and be seen by everyone in the room with this simple, affordable and effective telepresence solution. 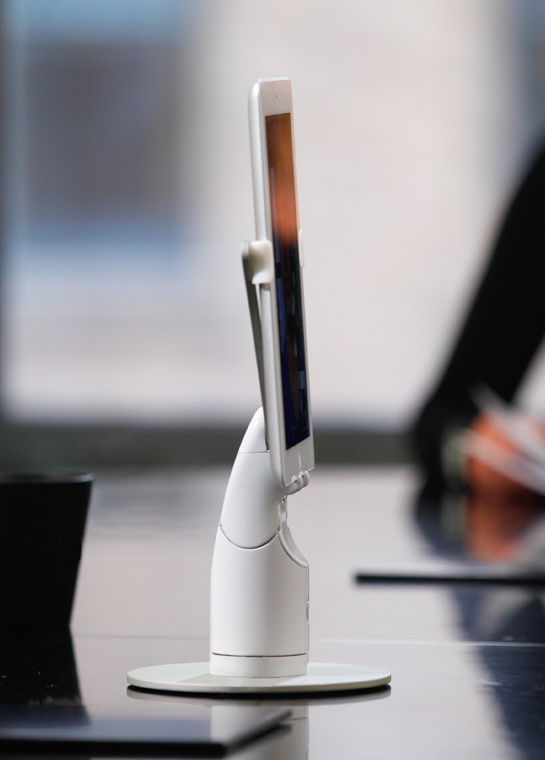 KUBI is a desktop tablet stand that helps you look around and physically interact with others remotely through simple web-based motion controls. This versatile, easily upgradable robotic platform distills the value of costly telepresence solutions to 90% of the functionality with the ability to look around a room at less than 10% of the cost, making it more accessible to small and medium size businesses and consumers alike. Remote users can adjust their video feed via the robotic KUBI platform by panning and tilting the tablet to follow the action, thus bringing far end camera controls to tablets. 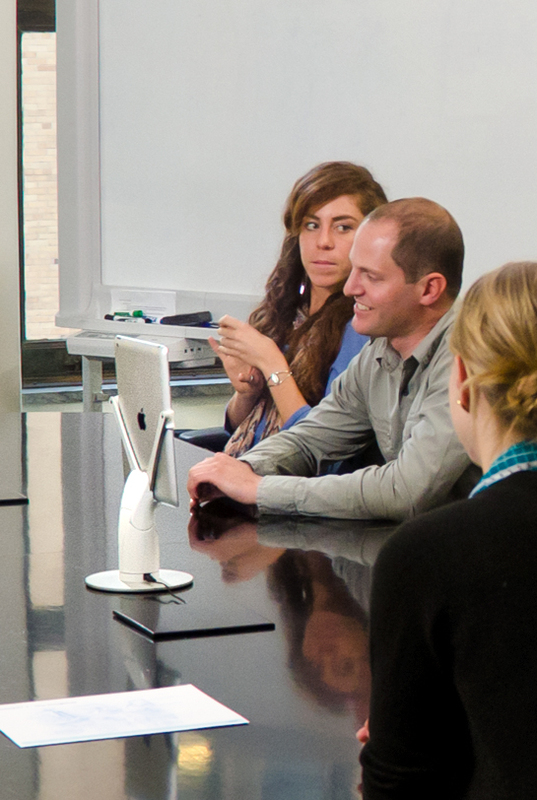 Meaning "neck" in Japanese, KUBI creates a natural interaction to the telepresence experience. KUBI has an open API that enables our app development partners to integrate controls for KUBI directly into their video conferencing applications. And, we have developed a KUBI controller application that allows control for KUBI to be compatible with any video calling client by running in the background. The KUBI platform is designed for tablet computers, and leverages their capabilities for wireless connectivity, video capture, processing and display and user interface. That makes KUBI easily upgradable, simply insert a new tablet or install a new application.